(1) conspiracy to provide material support to terrorists in violation of 18 U.S. Code § 2339A(a); (2) conspiracy to provide material support to a foreign terrorist organization in violation of 18 U.S. Code §2339B(a)(1); (3) conspiracy to launder monetary instruments in violation of 18U.S. Code § 1956(h); (4) providing material support to terrorists in violation of 18 U.S. Code § 2339A(a); and (5) providing material support to a foreign terrorist organization in violation of 18 U.S. Code §§ 2339B(a)(1) and (2). U.S. v. Moalin, 2013 WL 6079518 (U.S. District Court for the Southern District of California 2013). If you are interested, you can read more about the case and the trial, and read case files in the prosecution, in the story you can find here. And as this press release explains, Moalin was sentenced to 18 years in prison on November 13, 2013. On November 18, 2013, the U.S. District Court Judge who has the case denied Moalin’s motion for a new trial. U.S. v. Moalin, supra. 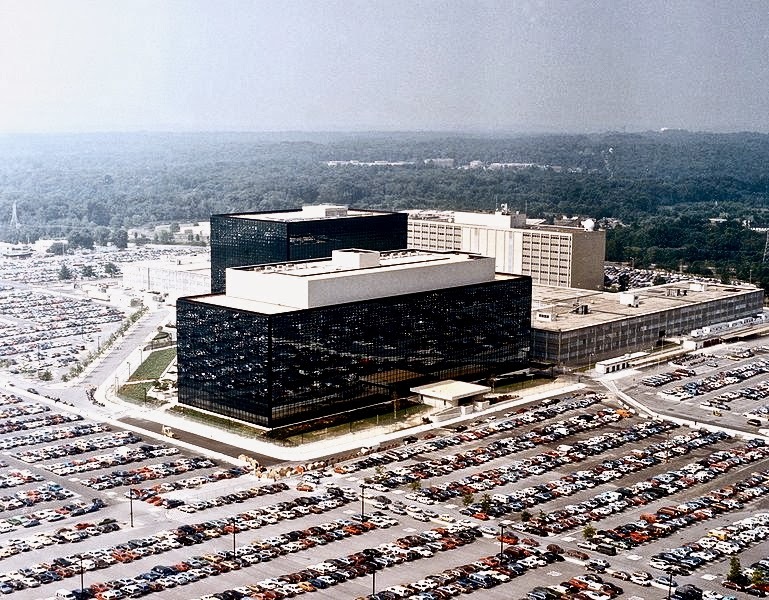 Under Rule 33(a) of the Federal Rules of Criminal Procedure, a defendant can base a motion for a new trial on a claim that “the interest of justice so requires.” The judge in this case found that was the basis for Moalin’s motion, which argued that “recent revelations by [Edward] Snowden and Government officials regarding NSA surveillance in this particular case warrant the suppression of all intercepted conversations.” U.S. v. Moalin, supra. As this article notes, NSA surveillance and phone intercepts played an important role in the prosecution. [a]t issue are two distinct uses of telephone metadata obtained from Section 215 [of the USA Patriot Act]. The first use involves telephony metadata retrieved from communications between third parties, that is, telephone calls not involving [Moalin]. [Moalin has] no reasonable expectation of privacy to challenge any use of telephony metadata for calls between third parties. See Steagald v. U.S., 451 U.S. 204 (1981) (4th Amendment rights are personal in nature); Rakas v. Illinois, 439 U.S. 128 (1978) (`4th Amendment rights are personal rights which, like some other constitutional rights, may not be vicariously asserted’); U.S. v. Verdugo-Urquidez, 494 U.S.259 (1990) (the term `people’ described in the 4th Amendment are persons who are part of the national community or may be considered as such). As noted in Steagald, `the rights [ ] conferred by the 4th Amendment are personal in nature, and cannot bestow vicarious protection on those who do not have a reasonable expectation of privacy in the place to be searched.’ . . . As individuals other than [Moalin] were parties to the telephony metadata, [he] cannot vicariously assert 4th Amendment rights on behalf of these individuals. To this extent, the court denies the motion for new trial. The explained that the “second use of telephony metadata involves communications between individuals in Somalia (or other countries) and” Moalin. U.S. v. Moalin, supra. The judge therefore analyzed whether Moalin, “and other Defendants through him, have any reasonable expectation of privacy in telephony metadata between Moalin and third parties, including co-defendants.” U.S. v. Moalin, supra. A . . . reasonable, or legitimate expectation of privacy is one where (1) the defendant, by his conduct, has `exhibited an actual (subjective) expectation of privacy,’ and (2) the individual's subjective expectation of privacy is `one society is prepared to recognize as “reasonable,”’ that is, whether the individual's expectation, ‘viewed objectively is “justifiable under the circumstances.”’ Smith v. Maryland, supra (quoting Katz v. U.S., supra). The Supreme Court noted that someone who uses a telephone has ‘”voluntarily conveyed numerical information to the telephone company and exposed’ that information to its equipment in the ordinary course of business,’ and therefore has `assumed the risk that the company would reveal to police the numbers he dialed.’ Smith v. Maryland, supra. The Supreme Court has consistently held `that a person has no legitimate expectation of privacy in information he voluntarily turns over to third parties.’ Smith v. Maryland, supra; U.S. v. Miller, 425 U.S. 435 (1976) (`the 4th Amendment does not prohibit the obtaining of information revealed to a third party and conveyed by him to United States authorities, even if the information is revealed on the assumption that it will be used only for a limited purpose and the confidence placed in the third party will not be betrayed’). U.S. v. Moalin, supra. For more on the Katz-Smith standards, check out this prior post. blaze a new path and adopt the approach to the concept of privacy set forth by Justice Sotomayor in her concurrence in U.S. v. Jones, 132 S.Ct. 945 (2012). In Jones, the Supreme Court considered whether the installation and subsequent monitoring of a Global Positioning System tracking device on an automobile by the police without a valid warrant and without the individual's consent violated the 4th Amendment. Noting that 4th Amendment jurisprudence, up to the latter half of the 20th century, was tied to common-law trespass principles, the majority held that `[w]here, as here, the Government obtains information by physically intruding on a constitutionally protected area,’ the 4th Amendment is violated. U.S. v. Jones, supra. As noted by [Moalin], Justice Sotomayor stated that the recent rise of the digital era of cell phones, internet, and email communications may ultimately require a reevaluation of `expectation of privacy in information voluntarily disclosed to third parties.’ U.S. v. Jones, supra. [Moalin] extrapolate[s] from this dicta that the court should recognize that [he] had a reasonable expectation of privacy cognizable under the 4th Amendment that the Government would not collect either individual or aggregated metadata. is twofold. First, the use of pen register-like devices -- going back to Samuel Morses's 1840 telegraph patent -- predates the digital era and cannot be considered a product of the digital revolution like the internet or cell phones. See Samuel F.G. Morse, Improvement in the Mode of Communicating Information by Signals by the Application of Electro–Magnetism, U.S. Patent 1647, June 20, 1840, page 4 column 2. In short, pen register-like devices predate the internet era by about 150 years and are not a product of the so-called digital revolution-the basis for the concerns articulated by Justice Sotomayor. Second, and more importantly, the Supreme Court specifically and unequivocally held in Smith that retrieval of data from a pen register by the Government without a search warrant is not a search for 4th Amendment purposes. Smith v. Maryland, supra. Because individuals voluntarily convey numerical information to the telephone company to complete a telephone call, one cannot possess a reasonable expectation of privacy in the telephone number dialed (as opposed to the content of the conversation). Smith v. Maryland, supra. For these reasons, the court declines [Moalin’s] invitation to depart from well-established precedent. Moalin used his telephone to communicate with third parties, whether in Somalia or the United States, he had no legitimate expectation of privacy in the telephone numbers dialed. The calls were routed through the communications company and its switching equipment in the ordinary course of business. While Moalin may have had some degree of a subjective expectation of privacy, that expectation is not “one that society is prepared to recognize as reasonable.” Rakas v. Illinois, supra (quoting Katz v. U.S. supra). Furthermore, where the calls were initiated by third parties, whether from Somalia or other countries, Moalin's subjective expectation of privacy is even further diminished because Moalin cannot assert 4th Amendment principles on behalf of third parties. The court could not locate any authorities, nor [does Moalin] cite any pertinent authorities, that recognize any expectation of privacy in the receipt of telephone call data from a third party in a foreign country. 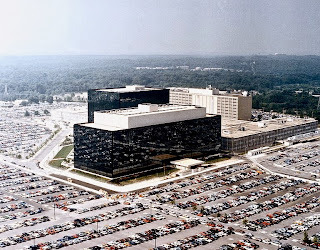 As in Smith, because the metadata was obtained through communications companies and their switching equipment, Moalin `cannot claim that his property was invaded or that police intruded into a “constitutionally protected area.’’” Smith v. Maryland, supra. While technology continues to advance through the implementation of new devices and methods, the legal analysis remains fairly constant: whether “the government violate[d] a subjective expectation of privacy that society recognizes as reasonable.” Kyllo v. U.S., 533 U.S. 27 (2001). For the above stated reasons, [Moalin’s] minimal subjective belief in the privacy of telephony metadata is not one that society has adopted. lacks standing to challenge the metadata collected in reference to communications initiated by third parties. The 4th Amendment rights are “personal in nature” and Defendant Moalin cannot assert any 4rth Amendment right on behalf of any party subject to the collection of telephone metadata. See Steagald v. U.S., supra. For these and other reasons, the judge denied Moalin’s motion for a new trial. U.S. v. Moalin, supra.